Salmon Arm has already bumped some lengthy slumps this season. They hadn’t beat the Vernon Vipers in the Shaw Centre since January 30th 2016. Silverbacks are 2-0 against Vernon this season. The Silverbacks hadn’t won against the Trail Smoke Eaters in nine straight tries. That ended last weekend in an epic four goal third period comeback. At home they were dominated in all three games by the Penticton Vees last season being outscored 19-4. Salmon Arm is 1-0 against the Vees this season courtesy of a shootout win in the Shaw Centre. Now they head to Chilliwack to play a team they haven’t beat in the Prospera Centre since September 29th 2013. The funny thing is, Salmon Arm is 2-1 in every season since then at Prospera as they haven’t lost a BCHL Bauer Showcase game in that stretch. Out of division streaks are hard to keep alive or end as the teams only face each other twice per season with each side playing one game at home. 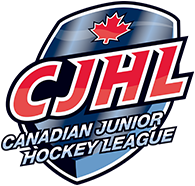 Chilliwack is not only looking to keep their hot streak at home against Salmon Arm, but in general this season. While the Silverbacks have the most points at home with a 9-1-1 record, the Chiefs are 8-1 for the best points per game average. For the first time this season, Salmon Arm is on a three game winning streak. Up to this point, the young roster hasn’t won or lost more than two games in a row. The Chiefs are on a three game winning streak having lost their first home game of the season last Friday against the Victoria Grizzlies. 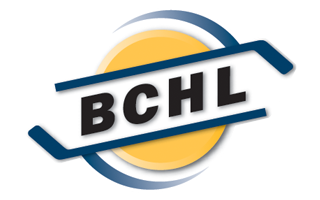 Chilliwack’s last three wins at home have all been by 3-2 scores. They are 6-1 overall in one goal games this season. Last night in Langley they beat the Rivermen 3-2. Silverbacks: His debut on home soil was a good one for Jonathan Krahn. The Chilliwack product scored his first BCHL goal against the Alberni Valley Bulldogs in the second game of the BCHL Showcase. Adding an assist it was also his first ever multi-point game in the BCHL. Krahn is coming off a goal against the Vernon Vipers Wednesday, and will be looking for more. After a six game stretch where he was held off the scoresheet, Akito Hirose now has seven points in his last six games. In four career games against the Chiefs, Hirose has yet to record a point. Chiefs: Riding a league high eight game point streak into last night was North Dakota bound Harrison Blaisdell who had 13 points in that stretch. Prior to scoring changes, he didn’t record a point in the win last night over Langley. In his Draft year, the Regina product is second on the team in scoring with 24 points and has already surpassed his total from last year when he had 21 points in 49 games. In two games against the Silverbacks last year, Blaisdell had one goal and one assist. Also to look out for is Kevin Wall who leads the league in rookie scoring and is third overall in the league. He was held off the scoresheet two games in a row for the first time this season last week, and has replied with four points in the last three games.